You’ve probably booked a direct flight with South African Airways to Abu Dhabi, or are visiting this emirate from Dubai (on Emirates Airlines) or Doha (Qatar Airways). Make sure that you’ve subscribed to your airlines loyalty programme, supplied them with your meal preferences and checked-in online before arriving at the airport. 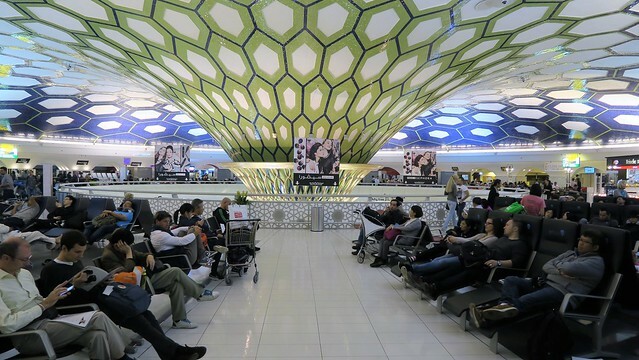 If you’re travelling to Abu Dhabi with SAA you’ll be arriving and departing from Terminal 1. On arrival there’s a large number of ATM’s from various banks to withdraw cash from. Taxis and buses are available outside the arrivals hall and the tourist information desk is very helpful. On departure you’ll need to have your luggage x-rayed before entering the departure terminal. There is a luggage wrap facility within one of the luggage retail stores. I hadn’t seen this until I was already checked in. Beyond immigration and the departure gates there are various types of seats to lay back on. 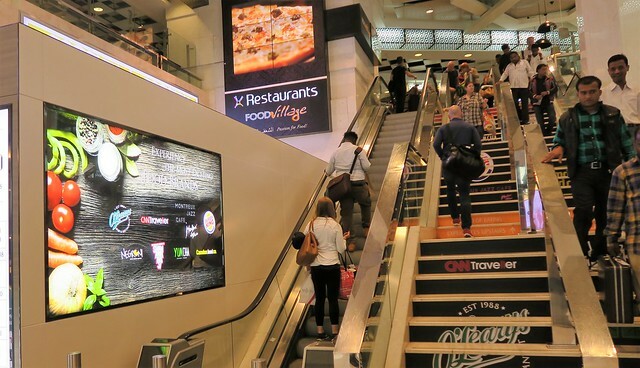 The food and shopping options in terminal 1 are quite limited. Follow the signs to terminal 3 if you want to grab a proper meal or have better opportunities to do duty-free shopping. There’s also a prayer area in Terminal 1. No sleeping is permitted inside. However I saw some naughty people breaking these rules. Apply for a UAE visa online with TT Services (see eligibility requirements here: https://www.ttsuaevisas.com/faq/). There’s no need for you to request dirham bank notes from your local bank in South Africa. You can withdraw cash at an ATM or make purchases with your South African debit or credit card in the UAE. All major card providers are supported in the UAE. Just notify your bank before travelling out of South Africa (so that they don’t block it because of suspected fraudulent activity). Check out the bank charges that various South African institutions charge you here. I withdrew 1100 dirhams from an ADIB ATM in Abu Dhabi Airport. I was a little irked when the ATM dispensed 2 x 500 AED notes (each note worth almost R2000) and 1 x 100 AED notes. Nobody really likes accepting notes of such high value. Getting around and out of Abu Dhabi is relatively easy. You can hire a car (left seated driving), hail a taxi (taxi fares from the airport to Abu Dhabi city cost approximately 60 – 65 AED) or use the bus system. 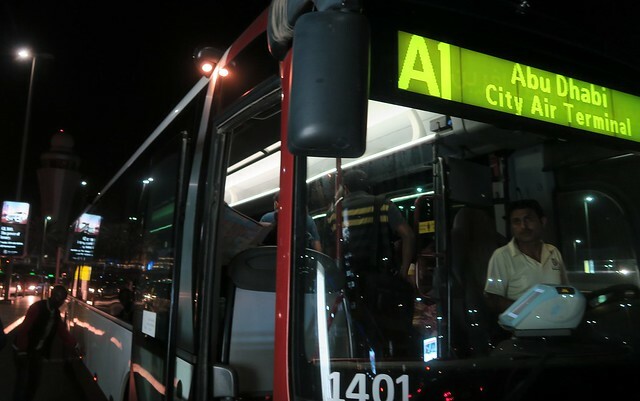 I used the A1 bus which left me 100m away from my hotel for just 4 AED. It’s not suggested that you enable call or data roaming due to excessive roaming charges. You could disable voicemail and enable SMS roaming before you leave South Africa. I generally travel without any GSM connectivity and use Skype or WhatsApp for calls. You could also purchase a local sim card from Du or EtiSalat. It took me a few days to realise why VoIP calls (with Skype or WhatsApp) weren’t working. It’s been blocked in the UAE. There is a super easy workaround. Download and enable a VPN app onto your mobile (I activated the free SuperVPN app on Android) and you won’t have a problem making VoIP calls over WiFi any more. If you book your accommodation months in advance make sure that they offer free cancellation (to within a week of your trip). 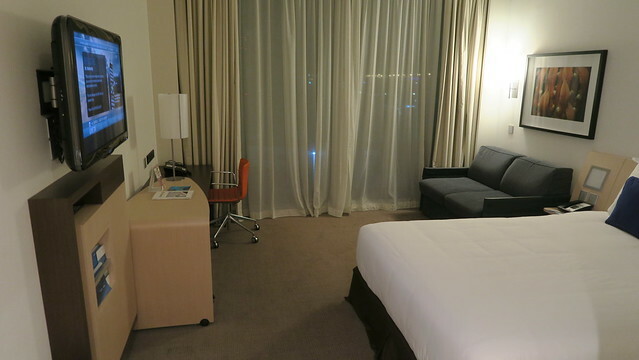 I booked my accommodation 2 days before departing and definitely saw more than a 30% reduction in prices. There are no hostels available in Abu Dhabi. There are only apartments and hotels. If you’re staying in a hotel make sure that it’s got a nice pool. As a regular swimmer I was delighted that 2 of the hotels I stayed at had decent sized pools to swim in after a day spent in the heat. I stayed at the new Novotel Hotel Al Bustan which is relatively close to Sheikh Zayed Mosque, the airport and Al Danah Mall. The pool here is magnificent (for a city hotel)! 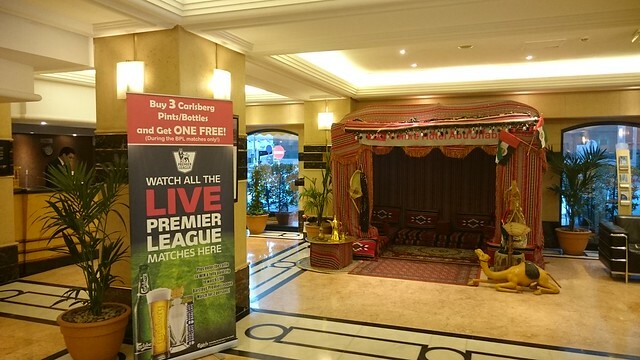 I then moved to the Mercure Centre Hotel which is on Hamdan street near the World Trade Centre Mall and the Corniche. The hotel looks slightly dated but the facilities are 100% in working condition. They kindly allowed me to extend my checkout until 4pm at no extra charge (this helps when you have a 02:05am departure flight with SAA). 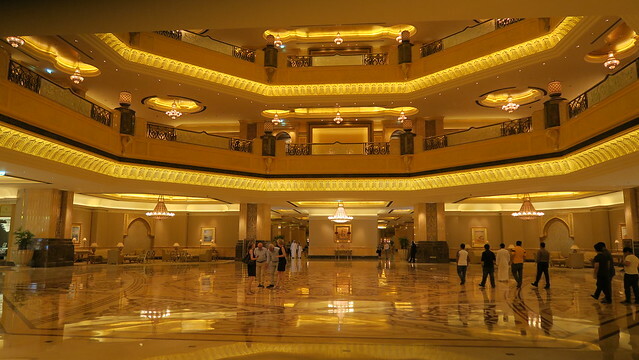 If you’re looking to splurge like a king then consider staying at the Emirates Palace Hotel on the Corniche. If you’re interested in spending a few nights at a resort (at competitive prices) consider Yas Island which is 20 minutes away from the Corniche (which has Ferrari World, Yas Water Park, Du Arena and Yas Mall). And if you’re considering spending some time in tranquillity in the desert consider 1 or 2 nights at the Arabian Nights Village in the Al Khatim Desert (70 to 90 minutes from Abu Dhabi). They’ll pick you up if you need transport. What’s there to do in Abu Dhabi?